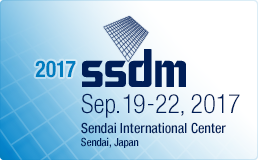 With its 48th annual conference being held this year, SSDM is one of the most traditional international conferences held in Japan. 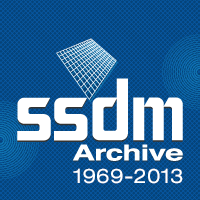 SSDM covers a broad spectrum of topics related to solid state devices and materials, and 15 areas are set up for discussion. The number of papers submitted has exceeded 550, and a special issue of the Japanese Journal of Applied Physics (JJAP) focusing on this conference is scheduled to be published. Please contribute your papers or participate in the poster session. Exhibition booths will also be set up for companies and agencies that provide devices, technologies and information relevant to the research and development efforts of the approximately 1,000 conference participants expected to attend. If you are interested in setting up a booth, please contact the secretariat. Thank you for coming to SSDM2016! Selected conference photos are available here. Oct. 19, 2016 Award page updated. Oct. 19, 2016 Conference Photos page added. Sep. 23, 2016 Welcome Reception Information added (on Home). Sep. 21, 2016 Invited Speakers page updated. Sep. 15, 2016 Advance Program page updated. Sep. 7, 2016 Luncheon Seminars Information updated. Sep. 7, 2016 Program Time Table updated. Sep. 6, 2016 Plenary Sessions page updated. Sep. 6, 2016 Luncheon Seminars Information added (on Sponsors page). Aug. 31, 2016 Advance Program page updated. Aug. 26, 2016 Invited Speakers page updated. Aug. 23, 2016 Program Time Table updated. Aug. 23, 2016 Advance Program page added. Aug. 10, 2016 Future Conference page added. Aug. 10, 2016 Presentation Guidelines page updated. Aug. 8, 2016 Program schedule page updated. Aug. 4, 2016 Program schedule page updated. Aug. 3, 2016 Invited Speakers page updated. Aug. 1, 2016 Award page updated. Jul. 27, 2016 Venue page updated. Jul. 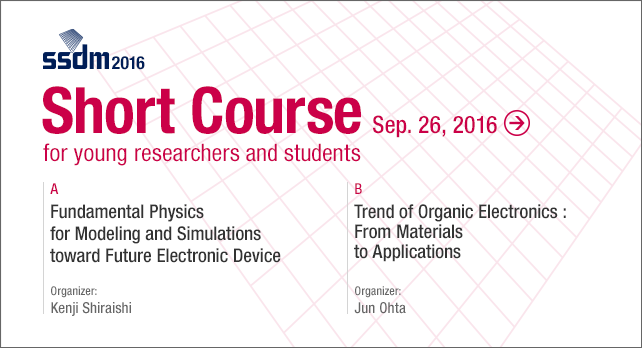 25, 2016 Short Course page updated. Jul. 22, 2016 Rump Sessions page added. Jul. 21, 2016 Financial Support for Overseas Students page updated. Jul. 19, 2016 Late News Paper Submission updated. Jul. 14, 2016 Presentation Guidelines page added. Jul. 6, 2016 Invited Speakers page updated. Jun. 30, 2016 Invited Speakers page updated. Jun. 24, 2016 Late News Paper Submission updated. Jun. 24, 2016 Program schedule page added. Jun. 17, 2016 Short Course page updated. Jun. 10, 2016 Online Registration and Hotel Reservation updated. Jun. 8, 2016 Late News Paper Submission updated. Jun. 1, 2016 Online Registration and Hotel Reservation added. May. 23, 2016 Regular Paper Submission : Deadline Re-Extended. May. 20, 2016 Regular Paper Submission : Deadline Extended. May. 16, 2016 Sponsoring/Exhibiting Organizations page updated. May. 16, 2016 Invited Speakers page updated. May. 13, 2016 JJAP SSDM2015 (Vol.55, No.4S, Apr. 2016) added. May. 13, 2016 Plenary Sessions updates. Apr. 25, 2016 JJAP Special Issues page added. Apr. 15, 2016 Plenary Sessions page added. Apr. 6, 2016 Committees page updated. Apr. 4, 2016 Short Course page updated. Mar. 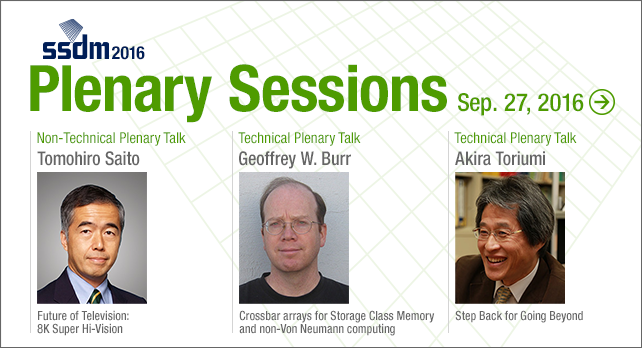 23, 2016 Invited Speakers page added. Mar. 9, 2016 Financial Support for Overseas Students page added. Mar. 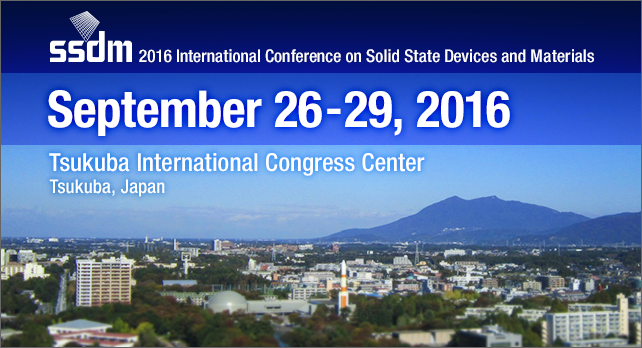 4, 2016 Online Abstract Submission Start. Feb. 24, 2016 Regular Paper Submission page updated. Feb. 9, 2016 Sponsoring/Exhibiting Organizations page added. Feb. 8, 2016 Scope page added. Feb. 4, 2016 Sponsorship and Exhibit Opportunities page added. Jan. 21, 2016 Award page added. 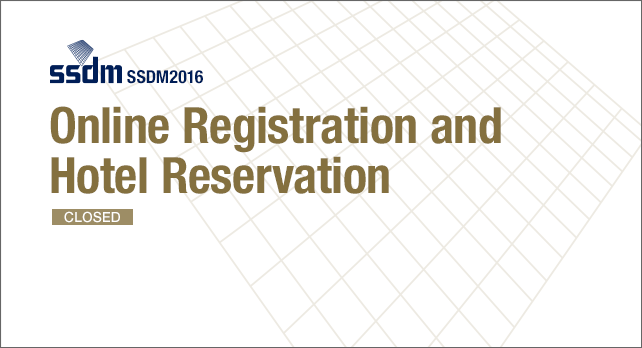 Dec. 7, 2015 SSDM2016 Website Opened. © SSDM2016 Organizing Committee. All rights reserved.